Whether you’re on team creamy or on team crunchy, there’s one thing we all can agree on: peanut butter is absolutely delicious. It’s so good that nearly 91 percent of U.S. households have peanut butter in their pantries. In fact, the National Peanut Board says 50 percent of consumers eat it at least once a week. Besides the taste, peanut butter offers a great deal of health benefits. It may be calorie dense—200 calories per 2 tablespoons—but it’s much needed for runners. Plus, indulging in this spread can help control hunger without leading to weight gain. “This is especially true when feeling hungry is a rare occurrence. 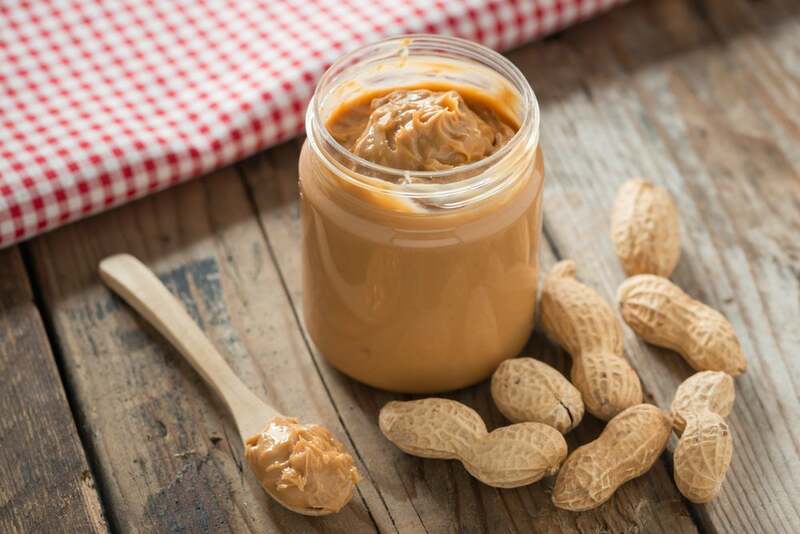 Fortunately, it’s much easier to obtain 200 calories from a spoonful of peanut butter than it is from dozens of chews per bite of an energy bar,” says Paul Salter, MS, RD, LD, CSCS, and nutrition expert at Bodybuilding.com. It almost sounds like peanut butter is a superfood! And while a spoonful from the jar is delicious, there are also many other ways to indulge. Since November is National Peanut Butter Lover’s Month, here are a few new ways to satisfy your nutty cravings. Move over traditional PB sandwiches—there’s a new type of lunch in town. Peanut butter and honey sushi, from NatureNates.com, takes five minutes to make, is sweet and fun, and makes for a perfect lunch or quick snack on the go. Place fruit roll-ups in center of tortilla. Mix together honey and peanut butter. Spread evenly over the fruit roll-ups. Spread remaining ingredients evenly over honey mixture. Place peeled bananas end to end in the center of the tortilla, lengthwise. Roll carefully and tightly into a cylinder, placing the bananas evenly in the center. With a sharp knife, slice into individual “sushi” pieces that can stand upright. Makes 6 pieces. Brussels Sprouts have made a big comeback over the past year. From roasted to pan fried, the vegetable has been a big hit at the table. Now you can wow your taste buds even more with NuttZo’s Waylon Lewis NuttZo Brussels Sprouts. Preheat oven to 400 degrees. Toss the Brussels sprouts, olive oil, kosher salt and pepper in a large bowl. Pour onto a baking sheet and place on center oven rack. Roast in the preheated oven for 30 to 45 minutes, shaking pan every 5 to 7 minutes for even browning and caramelizing. Reduce heat when necessary to prevent burning. Brussels sprouts should be darkest brown, almost black, when done. Mix all ingredients in a small sauce pan and put on low. Heat slightly until melted. Toss over roasted Brussels sprouts and enjoy! Purely Elizabeth’s buzzy ancient grain granolas, cereals and muesli have earned them a legion of celeb fans, ranging from Karlie Kloss to Venus Williams. For a boost of pre-workout energy, try their recipe for Peanut Butter Muesli Balls. Whip ‘em up, stick them in the freezer, and have a ready-made snack for when cravings strike. In a small sauté pan, combine peanut butter, maple syrup, coconut sugar and coconut oil over low to medium heat. Stir and cook for 3-5 minutes, until mixture begins to bubble. In a large bowl, add muesli, pour in peanut butter sauce and stir to combine and evenly coat. With your hands, roll into balls and place in a container. Freeze and enjoy! If you’ve got a little more time on your hands, why not try out the classic PB&J combo, but in pancake form? Birch Benders natural instant pancake mix takes the recipe up a notch by calling for 1/4 cup Justin’s Classic Peanut Butter to be added to the mix. Whisk together peanut butter with 1/2 cup milk, slowly so as not to splash. Mix in Birch Benders Classic Recipe. Slowly add the last 1/4 cup of milk, stirring until mostly combined, with a few lumps and bumps here and there. Let rest 5- 10 minutes for extra fluffiness. 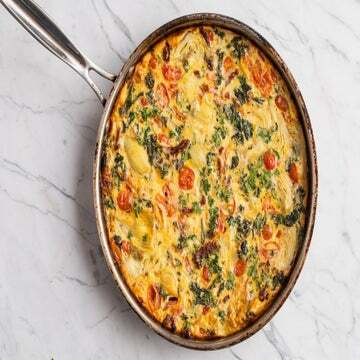 Heat a non-stick skillet or griddle to medium high, and lightly grease with vegetable oil. Using 1/3 cup measure, scoop mix into pan, cooking until bubbles have formed and mostly popped before flipping. Top your pancake stack with your jam or jelly of choice, or layer between for extra fruit. 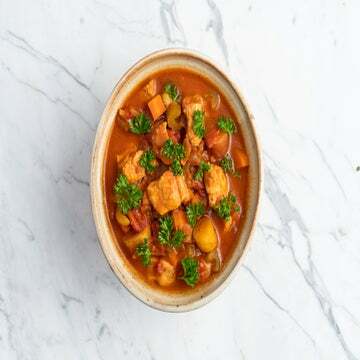 According to Doctor Oz, you can skip the heavy cream and use peanut butter to add flavor to a number of soups. Yes, please! Check out this recipe to make your own peanut butter soup. All you need is two cups garbanzo beans, a cup of peanut butter, a little lemon juice, salt, pepper, olive oil and one chopped garlic clove. Put in a blender or food processor and voila. Dip celery, carrots, crackers—whatever to indulge in this tasty snack! Sometimes oatmeal can be bland. Instead of putting sugar on top, put a few slices of bananas and a scoop of peanut butter to add in some new flavor. It will give you the energy you need for the day, plus a little added protein to keep you full until your next meal. Breakfast got a little sweeter! Blend together peanut butter, fruit, milk or juice for a protein-filled breakfast. Grab a tortilla, spread some peanut butter, drop in a little jelly and slice up some banana for a pre-workout snack, lunch or after-dinner treat. Calling all childhood favorites! For when you’re running out the door but still want some peanut butter-y goodness: look no further than Perfect Bar, the refrigerated, nut butter-based nutrition bar that boasts a smooth and creamy cool taste, along with 17-19g of protein and 20+ organic superfoods per bar. And don’t worry, almond butter devotees—they’ve got bars for you too. If you love chocolate and peanut butter, then you’re in for a treat. Health Warrior’s Chocolate Peanut Butter Bars are chia-fueled bars—only 100 calories—and make for a great pre-workout snack that you can keep stashed in your purse or gym bag. With only 5 grams of sugar plus fiber, protein and omega-3s, you won’t feel guilty indulging on these.